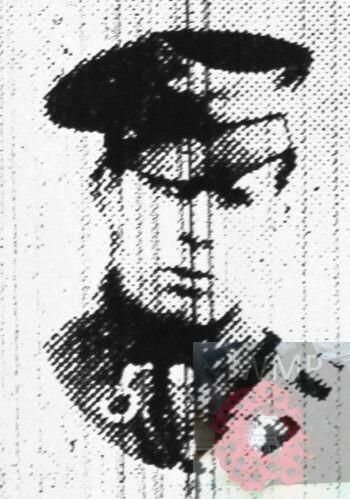 Died: 18th September 1918; age 20; KiA -Macedonia. Rank: Driver; Service Number: 191496. Regiment: Royal Field Artillery, 18th Battery, 3rd Brigade. Relatives Notified & Address: Son of Mrs Elizabeth Carpenter, of 1a, Salem Street, Ipswich. Brother to BRYANT EDWARD CARPENTER & WILLIAM JAMES CARPENTER. William James Carpenter, 39, a General Labourer, born Westminster, London. Elizabeth Carpenter (nee Orford), 38, born Ipswich. Ethel Emma Carpenter, 20, born Ipswich. Annie Maud Carpenter, 12, born Ipswich. William James Carpenter, 10, born Ipswich. George Rowland Carpenter, 5, born Ipswich. Sidney was 12 years old and living with his widowed mother, siblings & niece & nephew. Bryant Edward Carpenter, 27, a General Labourer, born Ipswich. Charlie, 17, a General Labourer. George, 15, an Errand Boy. Florence Gertrude Hale (nee Carpenter), 23, born Ipswich. Sidney’s father, William James Carpenter, died 1906, Ipswich. 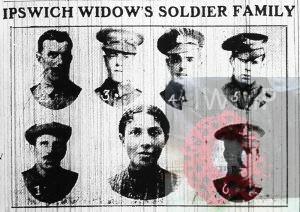 Soldiers’ Effects to Elizabeth Carpenter – mother. Bryant, Albert, Frederick & George Carpenter – brothers. Ethel Hale, Annie Earthroll, Elizabeth Turner & Florence Hale – sisters. Sidney is also remembered on St. Matthews Church memorial.